Basheeran aka ‘Mummy’ as she is commonly known in the crime world was arrested on Friday morning by the Delhi Police. The police officer who nabbed the woman from Sangam Vihar area said that she was wanted in 133 criminal cases. 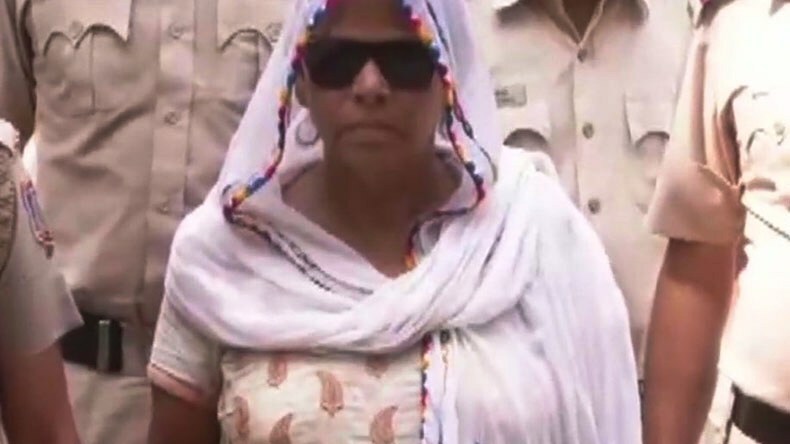 Some say there is no age for love but this 62-year-old Delhi woman has proved that there is no age for anything even for committing crimes like murder, robbery, snatching, bootlegging and much more. Basheeran aka ‘Mummy’ as she is commonly known in the crime world was arrested on Friday morning by the Delhi Police. The police officer who nabbed the woman from Sangam Vihar area said that she was wanted in 133 criminal cases. The lady was active in the crime world from past 16 years and had committed several crimes with the help of her 8 sons. Reports suggest that Basheeran was counted among top five dreaded women criminals. She reportedly entered the world of crime some 45 years back. The investigating police official added that she settled in Delhi after moving from her native in Rajasthan. Apart from Mummy, her 8 sons are also named in several criminal cases including contract killing and robbery. The matter was unearthed in January after a man had found a decomposed body of a man in the forest area. As per reports, some eight months back Mummy along with her sons took up a contract to kill a man. In order to kill the man, her sons took him to a forest area on the pretext of drinking and killed him. However, the matter was unearthed recently after a man had reported about the decomposed body to the police. In January, the police had arrested the people involved in the killing but Baseeran was absconding. Reports suggest that Baseeran also had the backing of several local politicians. Baseeran aka Mummy is also accused of running water mafia in the area.